Members of the opposition party have asked the president to check the activities of the regional government in Moscow after a series of corruption scandals. ­It is necessary to check “what is going on in the Moscow Region,” deputy head of the Fair Russia party’s faction in the State Duma Gennady Gudkov said at a parliamentary meeting. “The corruption scandals have spread across the whole region,” he added. Gudkov asked the president to “decide if such a government and such officials can be trusted,” referring primarily to Governor Boris Gromov. Moscow and the Moscow Region are two different subjects of the Russian Federation, having completely separate budgets and governments. The Duma deputy mentioned a number of recent scandals, including one involving the regional government’s Finance Minister Aleksey Kuznetsov. The Interior Ministry’s Investigative Committee has initiated a criminal case against the former minister and several other officials for the alleged embezzlement of funds which had been allocated for the regional budget. According to the Duma deputy, Kuznetsov allegedly has property in the US, Britain and France which had been acquired “for millions of dollars.” Gudkov also mentioned corruption scandals in his own constituency, where three mayors have been accused of taking bribes. The governor failed to react to the exposed instances of corruption, Gudkov said on Thursday. “He says there is no embezzlement and everything is all right.” But the region has turned “into the corrupt capital of Russia,” the deputy noted. The governor of the Moscow Region is also well-known in Russia as a prominent military commander. He achieved the rank of Colonel-General and was the last Commander of the 40th Army in Afghanistan. He became the last Soviet soldier to leave that country and crossed the Friendship Bridge over the Amu-Daria River by foot on 15 February 1989. On that day, the Soviet Army completely withdrew from Afghanistan. Other opposition parties, including the Liberal Democratic Party and Yabloko, had earlier demanded the dismissal of Gromov as well. 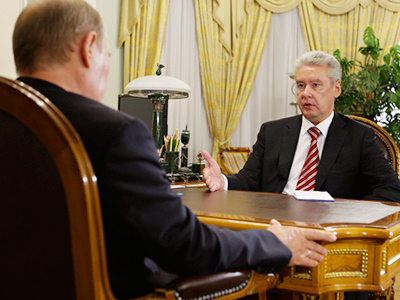 But the ruling United Russia party sees political motives behind rivals’ calls to oust Gromov. Oleg Morozov, a deputy speaker of the State Duma, commented on Gudkov’s statement by saying that “the election campaign has begun.” Elections to the parliament’s lower house will be held in December. Fair Russia had also called for the ouster of St. Petersburg governor Valentina Matvienko. 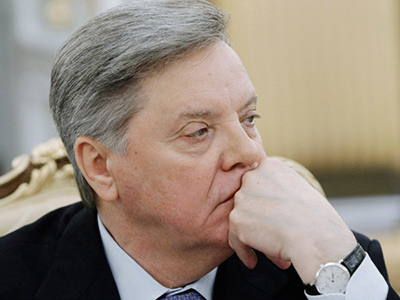 Fair Russia leader Sergey Mironov described St. Pete as “the most corrupt city in Russia.” This statement was one of the reasons behind the decision of the St. Petersburg Legislative Assembly to recall him as the representative to the upper house. Matvienko is now expected to take former Mironov’s position as the Federation Council’s chairman. 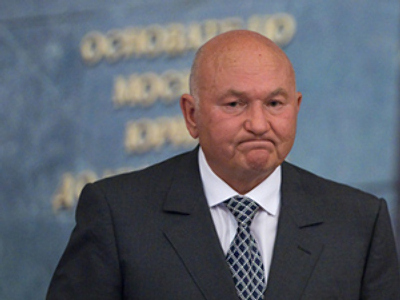 Moscow region governor to follow fired mayor Luzhkov?